Add a fun, whimsical touch to your outdoor area with this mushroom seat. This is a piece of decor at your garden event and tea parties and will serve as a place to give your feet some rest while looking as interesting as can be. 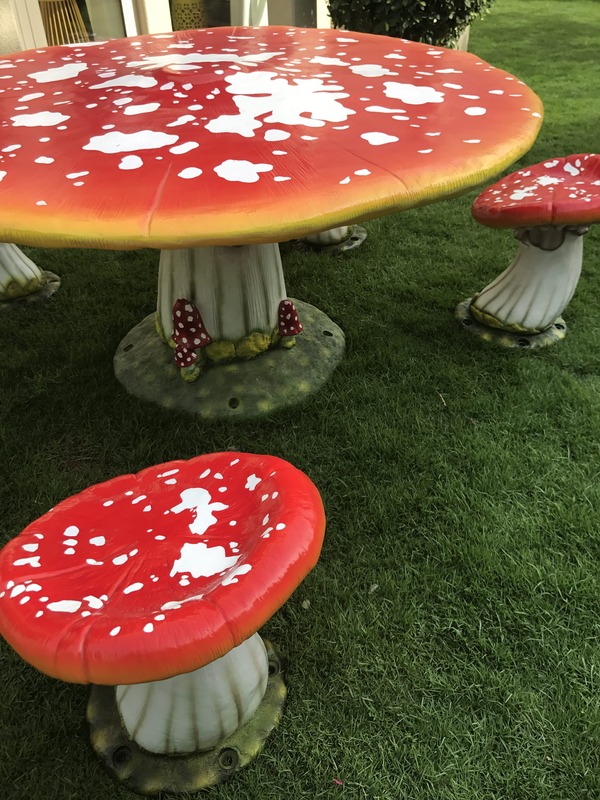 The Mushroom seat can specifically be used for any garden and Mad Hatter’s tea parties. It is also ideal for Alice in the Wonderland themed parties, mall events, conferences, theme parks, homes, gardens, hotels, films and theater productions, plays, shops, restaurants, and all hospitality events. Categories: Furniture, Alice in the wonderland. Tags: Garden Theme props, Garden Themed props, Mushroom seat, Mushroom seat for rent, Mushroom Seat Themed Props Events, Tea party themed props.